Can you please give some pointers to where you got the brick-coloured 01in headers from, and the specs of the LEDs you used? Nice indeed. 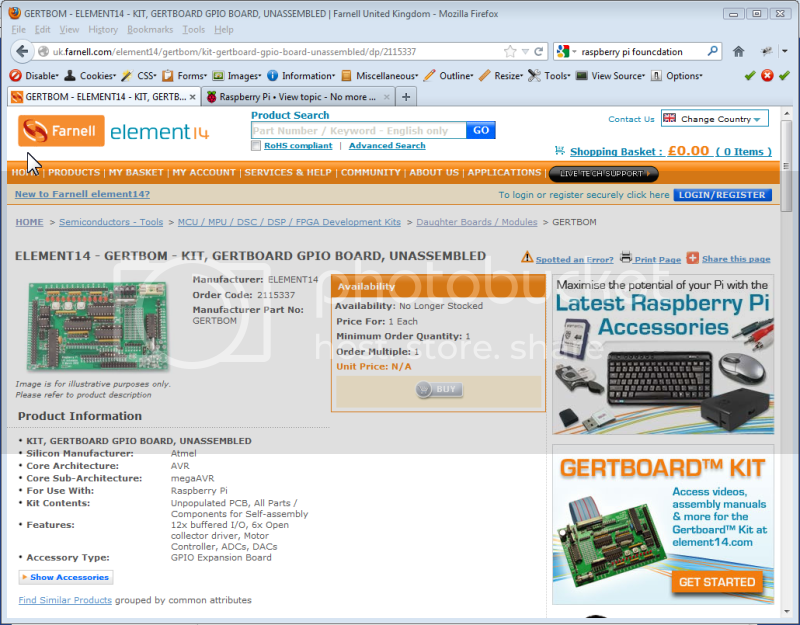 Gives me some ideas if I can every get my hands on a Gertboard kit. What's going on? Part of the point of this is that it is a kit. I don't want to order a complete board, I want to solder it up myself.